Actor turned Director Kabir Sadanand’s ‘Fugly’ is movie by the youth for the youth. It says be the change that you want to see, instead of cribbing and complaining. Page3 Nashik reviews this friday release. ‘Fugly’, starring Mohit Marwah, Vijender Singh , Kiara Advani left no stone unturned when it came to promoting the comedy drama. Actor turned director Kabir Sadanand takes us to a journey of Dev (Mohit Marwah), Gaurav (Vijender Singh), Aditya (Arfi Lamba) and Devi (Kiara Advani), who are best of friends.‘Fugly’ also has a treat for the viewers – cameos by both Akshay Kumar and Salman Khan in the title track ‘Ye Fugly Fugly Kya Hai..” Sadanand shows us the shocking reality of the administration system of our nation. And he does it brilliantly. There are numerous social issues like gay-prostitution, excess of television journalism among many others that Sadanand tackles in just 2 hours. Milind Joga’s cinematography compliments it well. The depiction of Delhi and Gurgaon is spot on. And there a lot of moments that stay with you even after you exit the theatre. The ending will shock and move audiences. The friends together celebrate life and live every moment like there is no tomorrow. 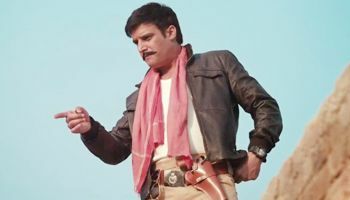 All the fun and thrilling activities take a drastic turn when an evil policeman Chautala (Jimmy Shergill) comes into the picture. Gaurav, who is pampered and arrogant son of a Haryanvi politician uses his powers, both physical and political to shut him off. But Chautala is no ordinary policeman. He fears none and follows his own rules. This lands the quartet of protagonists into some major trouble. Their moral values and friendship are put to an unexpected test. Whether they manage to rise above all the mess or give up forms the rest of the story. Three actors have debuted in the film, Mohit Marwah, Kiara Advani and boxer Vijender Singh. It’s great to see four fresh faces on screen. They’re all diverse personalities and yet so much in sync with each other. Mohit looks cute, has a good built, dances well and has a backing of Kapoor and Marwah family, so his road in Bollywood is open. Kiara is also good as a debutant. The movie may look like some normal youth centric drama, but surprisingly it’s entertaining and has a thoughtful message too. Some dialogues are really impactful and thanks to the script writer, a lot of moments stay with you even after you exit the theatre. ‘Fugly’ has a much more meaningful and meaty edge to it. It wouldn’t be wrong to call it a stupendous effort towards social stirring. Amidst all the fun, is another layer of thought-provoking substance that strikes real hard. Fugly is definately thought-provoking film and there’s a lot more to the film. Especially the young guns of our nation absolutely cannot afford to miss this one. So it is a must watch!! !